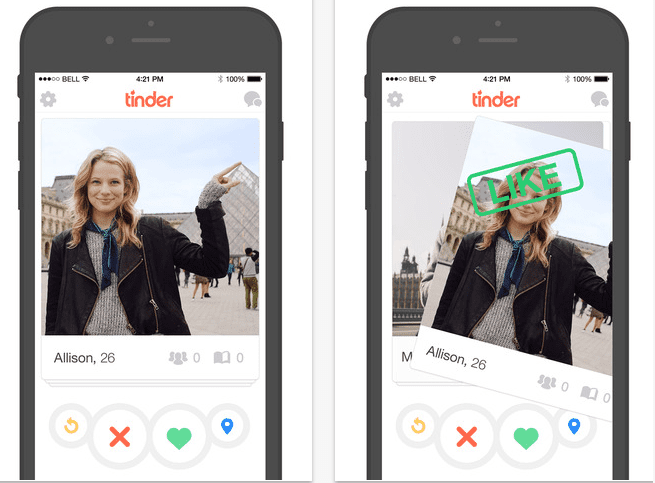 Tinder App Not Working Since IOs 8 Update Tips And Guidelines – AppleRepo.com, There will really have the possibility for the Tinder App not to work after the Apple iOS 8 update installation, you are not alone who is experiencing this kind of problem on your device. The Apple has been trying to solve this case for your Tinder app to be back working for your device with the latest iOS. There are a lot of factors for you to check first to figure out what causes your Tinder app to not function with the latest iOS. First thing that you will do basically is to restart the app, have the Tinder app closed and have it back on. After which, you may now restart your device, do the power cycle method which is you will have to turn off you device and have it turned on again after a 10 second period. Next thing is for you to make sure that you are using the latest iOS on your phone which is the iOS 8, proceed to your app store and kindly tap the Update section, if the update button is available, then tap the Update all, then provide your apple ID if you will be required to do so. If not again, install some other iphone apps from the App store and try if it is working, just use the same Apple ID so you will determine whether the malfunction is within the app or just with your phone. You may also try deleting and reinstalling your tinder app, this will be done by simply tapping the app, press and hold it until the time you will see it jiggles, then tap the small x icon on the app itself. Now, proceed to the home button, then to the App store and have the app downloaded for the second time, wit for the downloading process to be done and kindly open the Tinder app from your home screen. Worst to worst cases, if the Tinder app still is not working after you have done all the basic troubleshooting process, you may now call the attention of the App developer. You may have the contact of the App developer by checking it in the App store, tap the Tinder app, and read the reviews, then you may see the App support button just under the App store ratings. This case, the developer of the app will personally help you and assist you to the steps you will about to take to get back your Tinder App. This may also be applicable to any kinds of App found in your App store. When everything’s done correctly, you will again enjoy the fun of online dating. Have your iphone app fixed right before your special someone gets unavailable. So stop the worry, check everything now and have your Tinder app back to your hands, then again, experience the thrill of online dating without any hassle and delays. Enjoy Tinder, and enjoy your device at its best performance with the newest iOS.